Trending in colors from summer to fall and into next year, deep blue hues. I love how the deep blue combo looks with contrasting crisp whites, very nautical perfect for a coastal modern interior space. I put together this decor board a while back and thought I’d share it with you today. Also, I am currently designing a 3D mood board at #Olioboard and will share that with you later this week. How would you use this color in your home decorating? Let’s be social stop by my Facebook page and connect!! 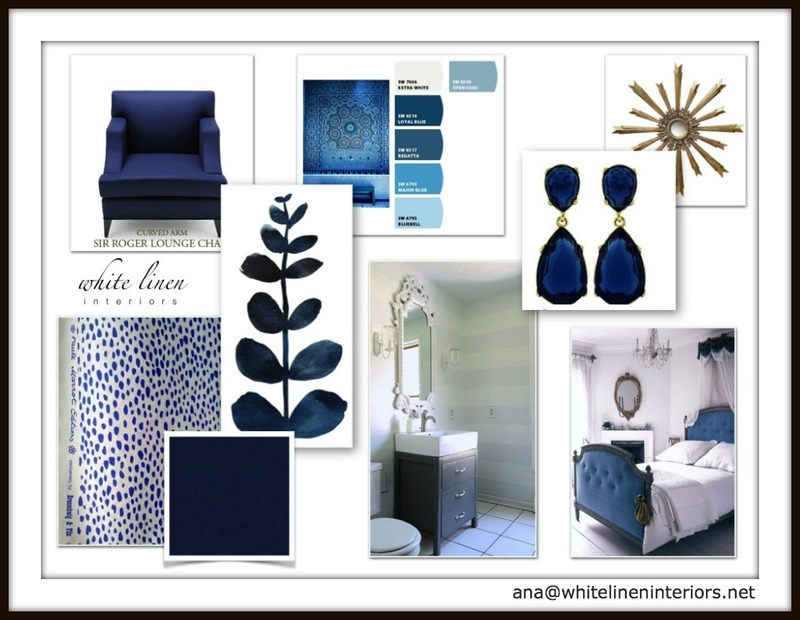 Need help putting together a design plan for your dream bedroom?